– NAU coach Mike Smith talking about how Andy Trouard beat Justyn Knight in the 3,000m at the 2018 NCAA Indoor Championships. 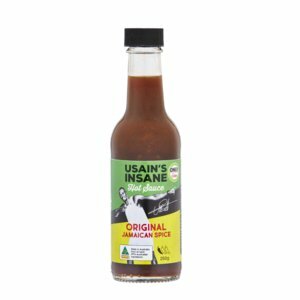 RUPP vs KIPCHOGE - Who would win in a mile race today? Should coaches ever partake in "locker room talk" with their teams? Which one would you pick for recovery runs: flat asphalt roads or hilly soft trails? 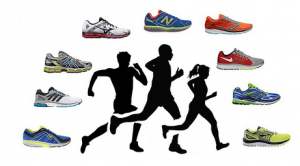 Brooks is joining the club ... new marathon shoe? Blockbuster Fields Set For 2018 NYC Half Marathon: 2016 Champion Stephen Sambu Faces Dathan Ritzenhein, Wilson Chebet (59:15), Chris Derrick, Abdi Abdirahman, Shadrack Biwott The women’s race has last year’s runner-up Emily Sisson, Vivian Cheruiyot, Desi Linden, Mamitu Daska (66:28), Buze Diriba (66:50), Betsy Saina, Aliphine Tuliamuk and Allie Kieffer. Russian President Vladimir Putin Reveals He Ordered A “Hijacked” Plane Targeting Sochi 2014 Opening Ceremony To Be Shot Down A passenger on the 110 person flight claimed to have a bomb, but it ended up being a hoax and no action was taken. International Paralympic Committee Members Say They Feel No Pressure To Reinstate Russia After New Deal With IOC The IPC has done a much better job actually punishing Russia than the IOC. 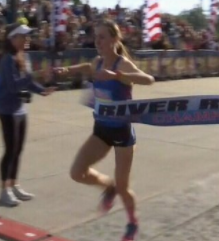 MB: Molly Huddle just destroyed Jordan Hasay at 2018 US 15k champs (40th Gate River Run). Leonard Korir beats Chelanga and Hehir Huddle took off just after 4 miles and won by 50 seconds whereas Korir waited until the last mile to dispatch Chelanga. 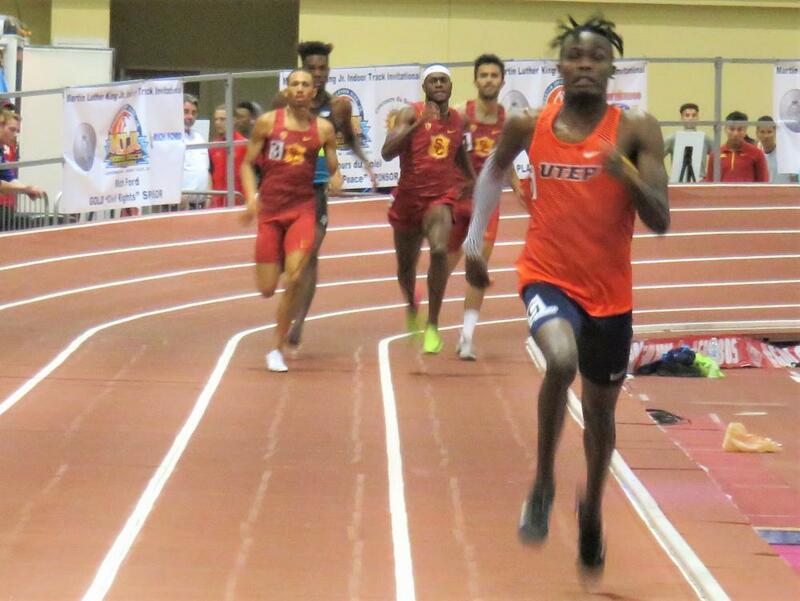 Good Read: Michael Saruni Looks To Follow Former Teammate Emmanuel Korir With 800m Crown To Make It Back-To-Back Wins For UTEP UTEP coach Paul Ereng also thinks Saruni can break the 1:44.84 indoor collegiate record which Ereng set himself back in 1989. Highlights From The NCAA Indoor Press Conference Quotes from Josh Kerr, Sydney McLaughlin, Karissa Schweizer and the top coaches. Sydney McLaughlin Wants To Help Kentucky Win Their First Team Title After running the #2 all-time collegiate 400 to win SEC Champs (50.52), she has a real shot at the record, but says she’s focused on scoring points for the team. Saturday: Molly Huddle Vs. Jordan Hasay Highlights USATF 15K Champs Hosted By The Gate River Run The women’s race also has Molly Seidel, Emily Infeld and interestingly, Olympic triathlete and Ben True‘s wife, Sarah True. The men’s race has Leonard Korir, Jared Ward, Sam Chelanga and Ryan Vail. Sunday: Galen Rupp Running The Roma-Ostia Half Marathon; Shooting For A PB And The American Record Rupp will face Stephen Chebogut (2:06:57 in Paris last year), Justus Kangogo (59:31 in Rome last year), Emmanuel Kipsang (60:14), Dino Sefir (2:04:50 from 2012) and 2015 World marathon bronze medalist Solomon Mutai. The women’s field is led by Rebecca Chesir (68:21) and Amane Beriso Shankule (68:43). 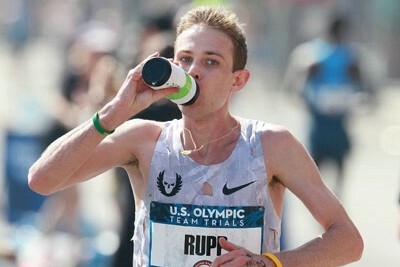 *MB: Rupp racing half marathon this weekend in Rome! 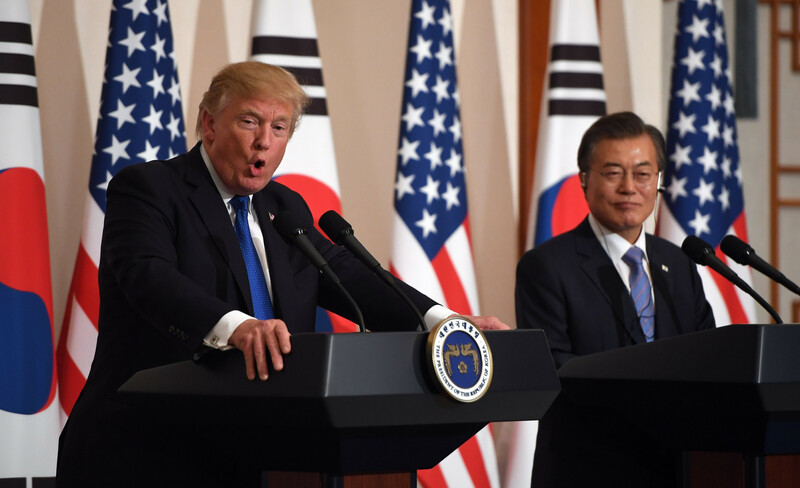 What will he run? 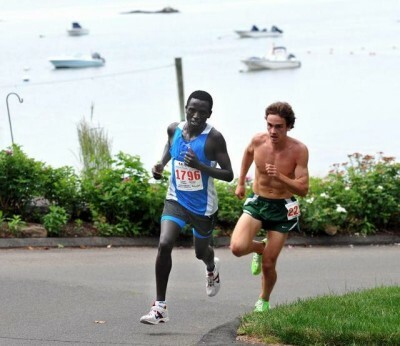 Sunday: Jonah Chesum Returns To Defend His Title At The Barcelona Marathon Last year, Chesum was a pacer who stayed in the race to win in 2:08:57. 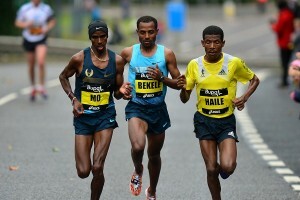 He faces two-time London winner Tsegaye Kebede and a couple of other sub-2:09 Ethiopians. Ethiopia’s Worknesh Alemu (2:30:04) and Italy’s Fatna Maraoui (2:30:50) lead the women’s race. Sunday: JRN Preview: Japan’s Marathon Season Wraps Up At The Nagoya Women’s Marathon Kenya’s 2:20:21 woman Lucy Kabuu and Valary Jemeli (2:20:53) top the entry list which includes a bunch of Japanese women in the mid 2:20s. March 24: 10 Strong British Team Named For World Half Champs Gemma Steel and Charlotte Purdue lead the women’s squad. April 8: Kenya’s Gilbert Kirwa (2:06:14) And Germany’s (Formerly Kenya’s) Defending Champ Fate Tola (2:25:14) Lead Fields For The Hannover Marathon Kirwa will face Cheshari Jacob (2:07:46) and Poland’s Henryk Szost (2:07:39). April 22: Nancy Kiprop Will Return To Defend Her Title At The Vienna City Marathon The field will have four women who have gone under 2:25. The Guardian: How Roger Bannister And Australian John Landy Raced To Break The Four-Minute Mile An interesting look at the rivalry and Landy explains how he didn’t want his sub-4 to be a paced effort like Bannister, he wanted to run it himself. 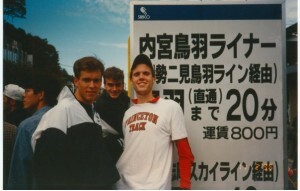 Sp!ked.com Takes A Look At Some Controversy Surrounding Bannister’s Sub-4 Bannister was criticized for having pacers and this author claims that the record would have been broken earlier if it wasn’t for the rules of amateurism. 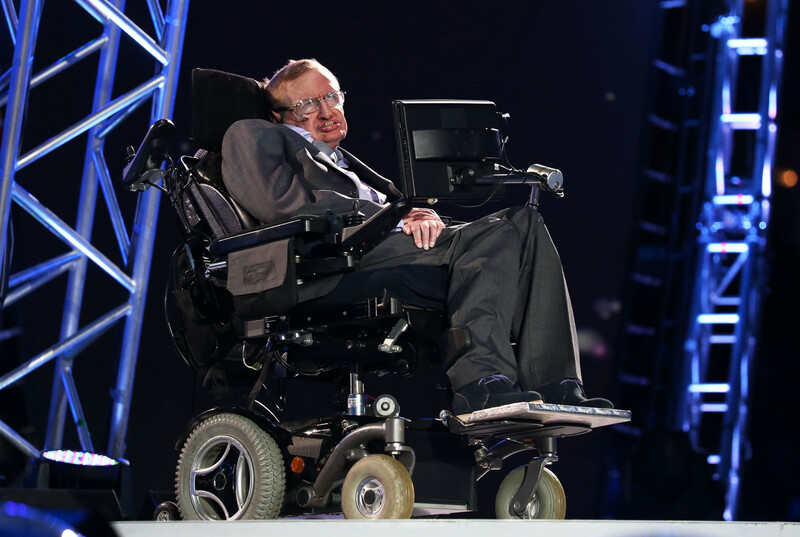 Some Of America’s Greatest Milers Share How They Will Remember Roger Bannister Jim Ryun, Alan Webb and others pay their respects to the late Bannister. David Epstein: “Magical Mile Was Just One of Sir Roger Bannister’s Myriad Accomplishments” Bannister would call up Epstein the last few years and talk to him. Olympic Legend Steve Ovett Wonders When The First Woman’s Sub-4 Will Happen Probably the same day a man runs 3:30. 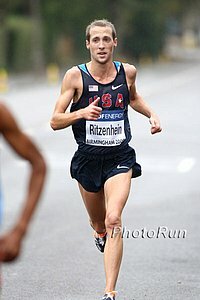 LRC A Reinvigorated Dathan Ritzenhein Talks NYC Half, Hansons-Brooks, L-Carnitine, And His Upcoming Return To The Marathon When asked if the supplementation practices of the NOP is one of the reasons why he left, Ritz replied in part. “I guess we all do things over the course of time that you can look back on and say, ‘I wish I had done this or I wish I had done that differently,’ but I’ve always tried to compete with as much as honor and dignity as I can and I’ll continue to do that.” Plus Emily Sisson talks about when she’ll make her 26.2 debut. 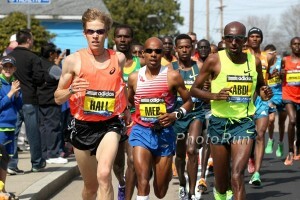 *MB: Ritz Talks NYC Half, Hansons-Brooks, L-Carnitine, And His Upcoming Return To The Marathon in Boston. 800s LRC UTEP’s Michael Saruni & Oregon’s Sabrina Southerland Win First Titles Both are 22 years old but Saruni came in with a lot of pressure (#1 seed) whereas Southerland – a grad-student who never even made a final during her 4 years at Georgetown – was just the #14 seed. Mile LRC Favorites Josh Kerr And Elle Purrier Win NCAA Mile Titles In Contrasting Ways After last night’s debacle in the DMR, Josh Kerr got redemption with some style points added on as he dominated whereas Elle Purrier won her first NCAA title by the tiniest of margins over Dani Jones. Polish guys get nervous- 4×400 WR could be going down in 3 minutes. Grant Holloway is the real deal- talent, personality, everything. Is he as good an athlete as Ashton Eaton? NCAA d1 indoor champ commentators were hilarious Some might say awful. Live Streaming For New Balance Nationals Broadcasts start Friday AM, 8:15AM ET Saturday, 8:30AM ET Sunday. From Last Weekend: Lanae-Tava Thomas Highlighted The NY State Meet Winning The 55, 300 And LJ Katelyn Tuohy topped distance action by winning the 1,500 in 4:23.38 to lower her own sophomore class record. Karissa Schwezer 4:38 last 1600!!! Oh my goodness. LRC DMRs: VaTech’s “Three Musketeers” Gamble And Win; Oregon Women Edge Stanford For First Title In Program History The DMRs were track and field at its very best: VTech going all-in, a walk-on freshman anchor for Notre Dame, the Stanford women losing by .03 this year after losing by .02 last year. LRC Favorites Justyn Knight And Karissa Schweizer Win 2018 NCAA Indoor 5,000 Crowns Justyn Knight easily had the best kick in the men’s race whereas Karissa Schweizer won her race in a totally different manner – by leading every single lap and then throwing down a 4:38.33 final 1,600! *MB: Karissa Schwezer 4:38 last 1600!!! Oh my goodness. LRC 800 Prelims: Wow – Michael Saruni Only Qualifies On Time As Women’s Co-#1 Seed Goes Home Early Saruni did not look good and Agnes Abu was last in hear heat. LRC Mile Prelims Go According To Form, Kerr Cruises, Rhianwedd Price-Weimer Talks Struggles, Dani Jones Talks Running Mile And then the Oregon Ducks were prevented from talking to the media. Georgia Women have incredible 1st day, led by 1-2-3 finish in long jump They have a 20-point lead on Florida with 33 points. Kansas’ Hussain Al Hizam wins men’s pole vault in Saudi Arabian record of 18-6.5 ft. (5.65m) He came in only seeded 7th. 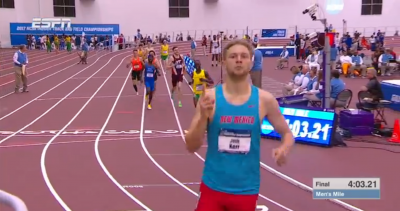 Kerr faked pain in the DMR! Wants underdog status in mile! Can someone please tell me who is going to win NCAA men’s team title? Anyone have a spreadsheet going for men’s team title? LRC Want To Know Who Is Going To Win? NCAA Indoor Individual Event And Team Predictions: Heavy Favorites In Nearly All Track Races, Tight Team Battle On Men’s Side Georgia the big favorite on the women’s side. Texas Tech favored on men’s according to LRC nation. 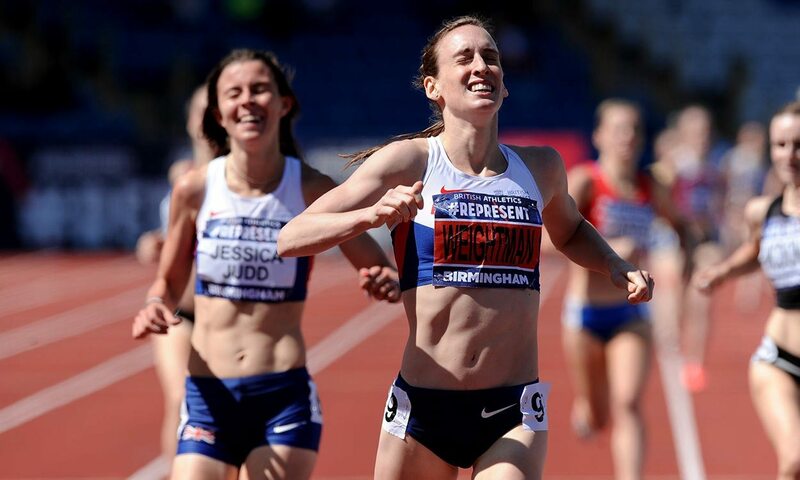 Brit Dewi Griffiths To Miss Commonwealth Games Due To Injury Griffiths was supposed to race the 5k and 10k for Wales. A New Documentary Will Follow One Ultra Runner’s Failed Journey Trying To Complete The Notoriously Brutal Barkley Marathons In the more than 30-year history of the race, only 15 have ever finished it. Boston Marathon Race Director Dave McGillivray Has Put Out A Children’s Book Called “Dream Big” The book actually follows McGillivray’s own inspiring story. LRC Final World And American Records Tumble On The Greatest Night Of NCAA Sprinting Michael Norman is your new 400m WORLD RECORD holder, Elijah Hall your new American 200m record holder, Kendall Ellis your new American 400m record holder, and Gabby Thomas had to settle for the 200m collegiate record. USC then won the 4 x 400, crushing the world record but Texas A&M, which finished second, got the record. We explain. LRC Video Of Michael Norman’s 400m World Record And All The American And World Records At NCAA Indoors We’ve got video of all the amazing records in case you missed them. 3ks LRC NAU’s Andy Trouard Stuns Justyn Knight In NCAA 3K As Karissa Schweizer Completes The 3K/5K Double Come on, admit it. 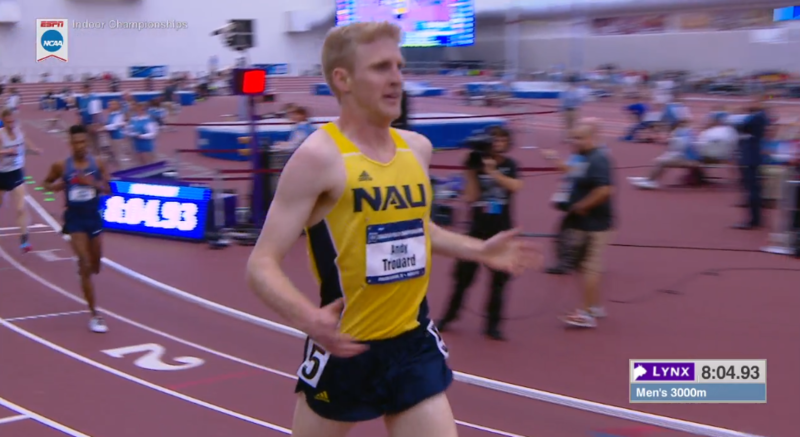 After the 5ks, you just assumed that both Knight and Schweizer would easily complete the 5k/3k double, but that didn’t happen as somehow Trouard, who had never scored at NCAAs before finishing 5th in the 5k, beat Knight. *MB: Allie puts up a fight with Schweizer! DIII: Mount Union Men, UMass Boston Women Earn NCAA DIII Indoor T&F Team Titles Wadeline Jonathas was SENSATIONAL. 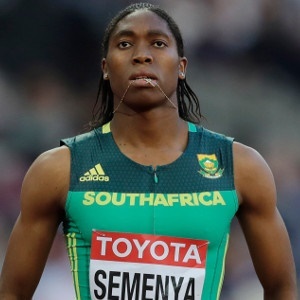 She won 4 events – setting DIII records in the 60 and 200, setting a meet record in the 400 and also winning the LJ. Full results are here. Nike Embarrassment After £10 Million “Nothing Beats A Londoner” Ad Campaign Hit By Legal Challenges And Immediately Cancelled They ads with Mo Farah were using LDNR as an abbreviation for London, which is a problem as its a trademarked sunglasses brand. Ironically, the guy who owns the trademark used to work at Nike and launched their sunglasses line. LRC 3K/5K Preview: Justyn Knight & Grant Fisher Renew Rivalry; Can Karissa Schweizer Avenge NCAA XC Defeat To Ednah Kurgat? We can’t wait for the 5ks/3ks at NCAAs as a pair of NCAA champs will clash on both the men’s and women’s side. *MB: 2018 NCAA 3k/5k Talk: Who wins Fisher or Knight in the 3k? Kurgat or Schweizer in the 5k & 3k? LRC Mile Preview: Josh Kerr Favored To Repeat As Elle Purrier Tries To End Her NCAA Title Drought Josh Kerr is so good we might pick him to beat Edward Cheserek if they were racing again this year even though Cheserek ran 3:49 in the mile this winter. *MB: 2018 NCAA mile: If Edward Cheserek were racing Kerr this year, who would you pick? Will Elle Purrier win NCAA title #1? LRC 800 Preview: Sammy Watson Is Primed To Break Through; Can Isaiah Harris – Or Anyone Else – Hang With Michael Saruni? Raevyn Rogers, one of the all-time greats, is gone but an even bigger talent may already be on the scene to replace her in Texas A&M true frosh Sammy Watson. 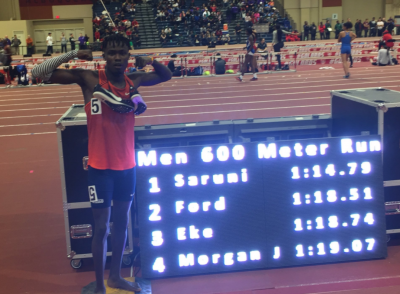 *MB: 2018 NCAA indoor 800 – Who wins M. Saruni or I. Harris? Will freshman phenom Sammy Watson take over for Raevyn Rogers? Reuters: Russia Was Barred From Flying Its Own Flag At The Winter Games Closing Ceremony After Two Of Its Athletes Failed Drug Tests It’s ridiculous the possibility was on the table at all. 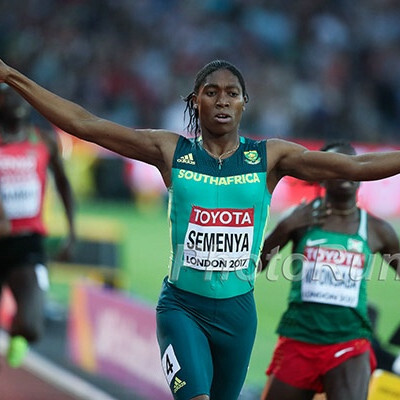 Justin Gatlin Gets Sluggish Start To Season Finishing 4th In South African 150m Race SA’s former World 200 bronze medalist Anaso Jobodwana won the race in 15.08 seconds while Gatlin was 15.23. Amazing Bonus At This Summer’s Paavo Nurmi Games: Throw Better Than The Finnish Javelin Record (93.09m) And Win An Island A throw that far will win you one of the Turku Archipelago’s 20,000 islands. How much is that worth? Well, we found one on sale for $424,000. Jamaica’s Olympic And World 110H Champ Omar McLeod Will Miss Commonwealth Games After He Apparently “Did Not Make Himself Available” For Selection He also missed World Indoors due to visa issues. WTF? Former Japan World Championships Marathoner Yumiko Hara Arrested For Shoplifting Candy 36-year-old Hara stole a bag of candy and two other items with a total value of $3.60 from a grocery store. This wasn’t a first offense as she was previously sentenced to a year in prison for shoplifting makeup and food. All-Time Japanese #4 Man Hiroto Inoue To Run Hot And Humid Asian Games Marathon In August Other top Japanese men passed on the team selection, but Inoue wants to prepare for the hot weather expected for the 2020 Tokyo Olympics. Japan Announces Team For World Half Marathon Championships The men’s team includes NOP’s Suguru Osako and 60:57 man Kenta Murayama while the women are lead by Miyuki Uehara (69:13). 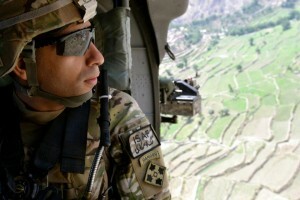 German Police Respond That The Officer Did Nothing Wrong A spokesperson says that Farah was upset by the security check performed on him at the airport and refused to leave the area and was filming in a sensitive area where recording isn’t permitted.